through a suitable solvent. 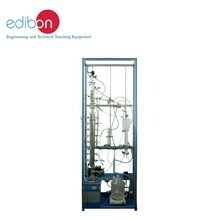 In the liquid-liquid extraction, the mass to be extracted is in a liquid, and in the solid-liquid extraction is in a solid. 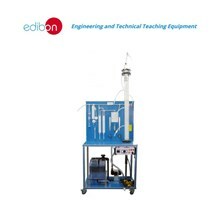 The way of performing the extraction will depend on the proportion of the component to be extracted, on the distribution of this component in thesolid, on the nature of the solid and on the of particle size. 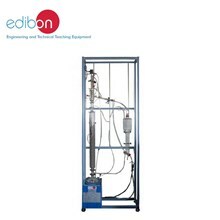 The UELSC unit allows a continuous solid-liquid process of extraction in countercurrent which is the most commonly used in industry because it isthe one with the highest efficiency. continuous multistage and countercurrent way. 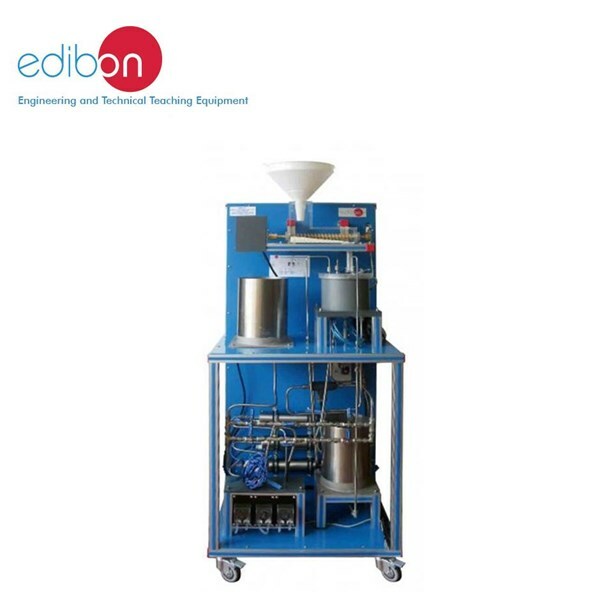 purposes), rotary extractor system of the type frequently seen in industrial applications. 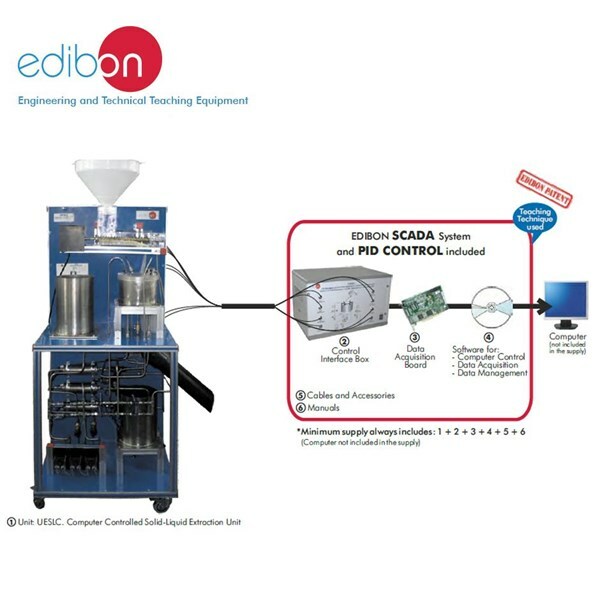 The effects of temperature, multiple stages, and throughput rate can all be investigated. The design of the unit is based on the continuous rotation extraction cell used in industrial scale, which is called ‘Rotocel’. 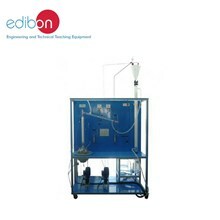 This is the main part of the solid/liquid extraction system and it is divided into compartments. The raw material is fed into these compartments from the input hopper. The material is then passed under three solvent sprinklers, and the dissolved product captured in three drainage compartments. 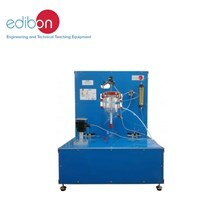 Pumps are provided to pump the product from the drainage compartment of one stage to the sprinkler of the next stage. At the end of the process the spent carrier material will go to a collection container. then extracted by the process. process and all parameters involved in the process.